The power of the moon - how it influences our star signs. In fact, in astrological terms the Moon is seen as a very strong influencer on our day-to-day lives, impacting everything from our behaviour, our maternal instincts, our habits, our mood, our emotions, even down to things like our attitude to food! So, knowing this – is there a way to harness the Moons power to make decisions and take action when it would be most advantageous for us? Well, the Moon is in each sign of the zodiac for 2.5 days per month, the different signs impact the Moon in a certain way, so you can plan specific activities to correlate, to get a beneficial outcome. One example of how this might work – take Gemini (ruler of communication), if you had a letter to write, forms to complete, an important conversation to have or even the need to buy devices such as phone/computers that are used for communication purposes, then you might choose to do this on the days when the Moon is in Gemini. There are many online resources that will show you month to month what zodiac sign the moon is entering. This is the time for personal projects – with you taking the lead! It is okay during this phase to prioritise yourself and embark on creative activities. It is a great time to adapt a spirit of adventure – try something new, maybe engage in a competitive sport, in general take yourself out of your comfort zone. This phase is all about security – think both material wealth and physical sanctuary. This may be renting or buying a house and making it a home that can shelter you when needed. You will be attracted to nature during this time, and that is because now is the time to feel rooted and grounded. As noted above the Gemini phase is about communication – in all its forms. Harness this favourable time to make contact with all groups of people from loved ones, family, friends, colleagues and neighbours. Entertaining is the name of the game during this phase, invite loved ones into your home and enjoy the warmth of good food, a roof over your head and the security of family and friends that love you. Revel in the luxury of home comforts – they provide you with much needed emotional security. Celebrate – celebrate – now is the time for you to be in the spotlight. Say yes to social invitations, explore any opportunity to be with those that you favour. Now is the time to show your true colours, be who you are, take pleasure in the limelight. A logical and analytic tactic is called for at this time – think with your head, not your heart! Whatever matter needs addressing, be it your pets, your health or your job – take a careful and detailed approach. Now is the time for love and relationships, this is not a solitary time, it is a time to be together with your beloved. Concentrate on your partnership, make time for each other, rediscover your passion for each other and get back the harmony and balance in your union. This is an intense phase, you will be emotional, but if you are aware of it – you can keep in check the negative emotions like suspicion and jealousy. Its okay during this phase to explore your deepest emotions and feelings – but only with those you trust the most! It is a time for education – in all its forms, learn a new skill or task, dive further into your spirituality, advance your religious studies or delve into philosophy. Now is a great time to rise to an opportunity, you will relish the challenge. You should be aware that you can achieve great things, and that your long-term goals will pan out without you needing to sacrifice work/life balance. Your activities will command respect but be careful that people don’t think you are too serious. Be independent and be individual – this phase is great for expressing you! Harness this phases energy for humanitarian reasons. But it is also a great time for technological advances. Computers, science and technology can only help your cause. A spiritual time of imagination and intuition – use it to enhance your psychic and intuitive abilities. Do charity work, be generous in your life with time and resources, but above all demonstrate compassion. If you feel as though you could do with some support in planning the next phases of your life, then why not contact one of Our Psychics and talk things through. 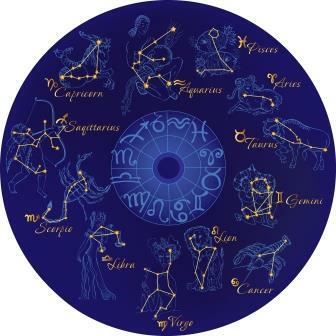 If you are interested in astrology, then you may like to check our posts on the compatibility between different star signs, as well as in-depth analysis on the personality traits of each of the zodiac signs.